Istanbul is looking to expand its network of bike lanes and promote cycling to improve public health and well-being. Photo by EMBARQ Turkey/Flickr. Growing physical inactivity at a global scale is causing more people to suffer from chronic diseases every day. According to the World Health Organization (WHO), 31 percent of adults 15 years old and older were insufficiently active in 2008, leading to 3.2 million deaths worldwide. Furthermore, the top five leading chronic diseases linked to physical inactivity cost the global economy $6.2 trillion in 2010. However, an active design approach to architecture and urban planning has the potential to make daily physical activity an ingrained feature of city life. By focusing on the role that parks, sidewalks, and walkable public spaces play in healthy communities, active design encourages physical activity. Cities that adopt active design have been shown to increase residents’ physical activity and improve public health. Many cities have recently focused on integrated transport planning, walking, and cycling as elements of active design. In Turkey, both the central government and local governments have been supporting cycling culture and infrastructure. For example, in recent years, cycling projects have become more important and popular in Istanbul. With 14 million people living in dense communities, the city has faced intense traffic congestion and low air quality. To improve livability and public health, the Istanbul Metropolitan Municipality (IMM)—the agency responsible for cycling projects— is turning to active design targets, pledging to build 1,050 km of cycle lanes in Istanbul by 2023. One challenge of cycling in Istanbul is a lack of integration with other modes of transport. While there is bicycle parking at several ferry ports, subway, and bus rapid transit (BRT) stations, they are not adequate, given Istanbul’s size. Furthermore, overcrowding makes it prohibitively difficult to carry a bike on public transport. There are 20 buses currently equipped with bike racks, but bike space needs to be expanded across all modes of transportation. The exact number of cyclists in Istanbul is not known, and collision data is unreliable. This can make planning difficult. To decide on the route of a bike lane, planners and designs need know about the estimated number of cyclists in a given area, their preferences and safety expectations, as well as the slope, width, and conditions of the street. 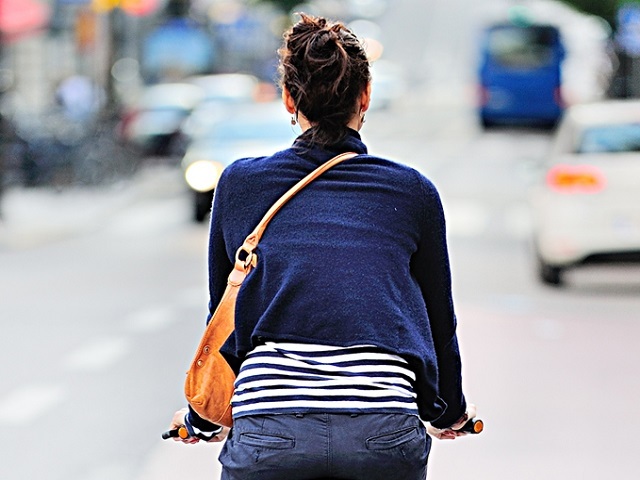 Since the IMM rarely has this granular information, district agencies and NGOs need to come together to work on cycling projects, as they are more familiar with the experiences of local cyclists. EMBARQ Turkey’s Safe Cycling Design Manual for Istanbul addresses the challenges of cycling planning in Istanbul and provides guidelines for improvements. The report gathers input from NGOs and cyclist associations, creates standardized tools for developing safe and accessible cycling infrastructure, and provides recommendations for how district agencies can improve cross-coordination. According to surveys in the Manual, cyclists in Istanbul prefer to ride short distances (5-6 km). The majority of respondents stated that their bicycle trips were no longer than 60 minutes and that their trips generally end within the same district or an adjacent district. 90 percent of respondents believe that there are major problems with cycling infrastructure. 50 percent feel unsafe, as unconnected bike lanes can lead to dangerous contact between cyclists and cars. Lastly, 35 percent of cyclists think that there is a lack of signs on the road, making it difficult to navigate the city safely. Bike lanes should be designed with this data in mind. They should both serve neighborhood life and integrate with public transit systems. Additionally, routes for cyclists should be coherent, direct, and continuous. Improvements to current roads and safe bike parking are necessary to ensure convenience and safety. In order to combat a growing rate of physical inactivity, local decision makers need to raise awareness about cycling as a viable transport option and implement accessible infrastructure across Istanbul. This will require better coordination between the IMM, district authorities, NGOs, and cyclist associations. The manual, which was awarded an Excellence Honorable Mention from the Center for Active Design in New York, provides valuable guidance for local authorities, planners, and designers to create integrated, connected, and accessible bike infrastructure throughout the city. With strong management and active design, Istanbul can make cycling safer and more convenient for all residents. Download the Safe Cycling Manual for Istanbul and share comments with us on Facebook.